The man who had appointed the Secret Service to protect the president following the assassination of William McKinley in 1901 (search the article) was himself the subject of an attempt on his life. The assassination attempt did not occur until after he had left office albeit when Theodore Roosevelt was running for a third term (something that is now illegal) as the Progressive, or Bull-Moose, candidate. On an autumnal day in 1912, 53-year-old Teddy Roosevelt was leaving the Hotel Gilpatrick in Milwaukee, Wisconsin, to give a campaign speech at the Auditorium when 36-year-old, Bavarian-born bar owner, John Nepomuk Schrank, shot him in the chest with a .38 Police Positive pistol from a distance of 2 m (6 ft), as the former president was getting into his car. The bullet pierced Roosevelt’s overcoat, his metal spectacles case and his 50-page speech, folded double. Despite blood flowing from the wound, Roosevelt made his speech, which lasted for about 70 minutes. At times, only just above a whisper he told the crowd, “Friends, I shall have to ask you to be as quiet as possible. I do not know whether you fully understand that I have just been shot but it takes more than that to kill a Bull-Moose.” As soon as he stopped speaking, he was rushed to Johnston’s Emergency Hospital where doctors X-rayed him to assess the damage. At 12.30am on 15 October Roosevelt boarded a train for Chicago’s Mercy Hospital where he stayed until 21 October, when he continued his campaigning. In the election Roosevelt came second, splitting the Republican vote and allowing Woodrow Wilson to become president. On 13 November 1912 Schrank was declared insane and sent to an asylum. On 15 September 1901, the day after President McKinley died, Schrank had had a dream in which, he said, the slain president’s ghost appeared to him and accused Roosevelt of the murder. From then on, Schrank developed a passionate hatred for Roosevelt and when the former chief executive announced he was running for a third term Schrank’s loathing festered even more. In 1912 McKinley again came to Schrank in a dream and told him to avenge his murder. Schrank followed Roosevelt’s campaign for three weeks across eight states looking for a chance to kill him. Doctors decided that the bullet had penetrated Roosevelt too far to risk surgery and he carried the bullet until he died of natural causes at Oyster Bay, New York on 6 January 1919. When Schrank learned of his death he expressed sorrow. 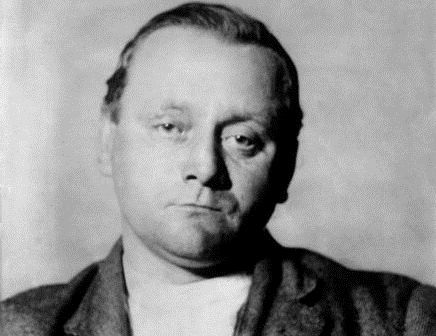 Schrank died on 15 September 1943 at Central State Hospital, Waupun, Wisconsin, 42 years to the day after his dream that led to the only assassination attempt to be made on a former president.